This was my first time making bread. I have always wanted to, but like most things, I always thought it would be difficult. It wasn’t. It was soeasy and relatively quick too. 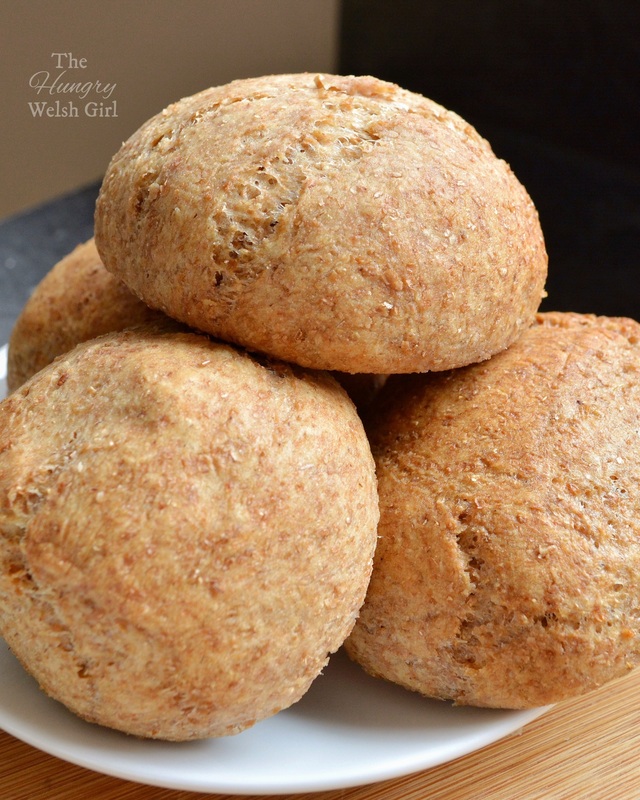 Compared to supermarket bread rolls these were quite carb heavy, but this recipe did only make 4 wholemeal rolls. 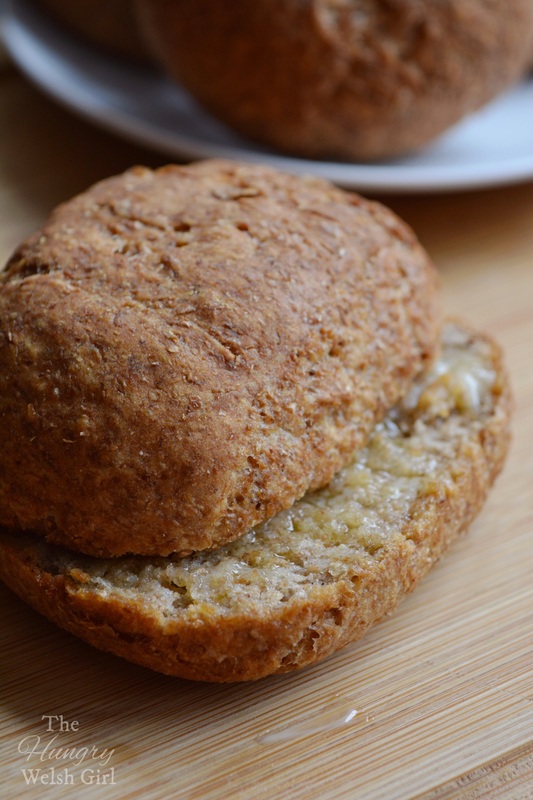 However; I do plan on experimenting and attempting to make a lower carb roll, but for right now these will do as little treat, especially if the rest of the meal you’ll be eating them with, will be homemade too. Weigh out your flour and add it to a large mixing bowl along with all the dry ingredients, then add in the lukewarm water and combine before adding in the olive oil and combining all ingredients thoroughly. On a clean, flour dusted surface; pour out your dough and knead it for around 10 minutes – try not to add any more flour. Next you will need to roll out your dough into a sausage shape. To do this place your hand in the centre of your ball of dough and roll up and down until the ball turns into a sausage shape – it will need to be big enough for 4 dough balls. When your dough is the desired length, cut off 4 equally sized balls – you can re-shape them if you’d like. Place the dough balls on a greased tin or a tin lined with greaseproof paper and cover with cling film, then leave in a warm oven or an airing cupboard, until they have doubled in size – about 1 hour.